An independent survey has shown that SAT-7’s life-changing impact on families in the Middle East and North Africa (MENA) is now greater than ever. The research, carried out by IPSOS in 2018, revealed that at least 8.6 million viewers watched SAT-7’s ACADEMY-branded education programmes, and showed a growth of 21 per cent in the number of Arab children watching the SAT-7 KIDS channel. The remarkable increase means that SAT-7 KIDS now has 5.6 million viewers, of whom 82 per cent watch regularly. As well as a growing audience size, more SAT-7 KIDS viewers are getting in touch – the number increased by 32 per cent last year. In their many thousands of comments, children and parents reveal how SAT-7 KIDS has helped them grow and flourish. The enthusiastic response from parents is especially encouraging for a Christian channel broadcasting to a predominantly non-Christian audience. From answered prayers, encounters with Jesus, or simply feeling less alone, each story is an encouraging glimpse into God’s transforming work throughout the region. In a turbulent region, children dearly need to hear God’s voice of love – many for the first time. Through its dramas, game shows, cartoons, and worship programmes, SAT-7 KIDS teaches children about Jesus and instills values of love, peace and forgiveness at an early age. Encouragingly, many viewers praised new live shows. “Family of Jesus is an amazing programme. You helped me come back to Jesus and spend quality time with Him,” says Amal, a teenager in Egypt. “I’d like to thank Rita very much for this precious gift. I really appreciate it… I’m going to read the Bible every day,” the Syrian girl writes. Praise God for the exciting increase in SAT-7 KIDS viewership, and thank Him for the children (and parents!) who come to faith through watching the channel. 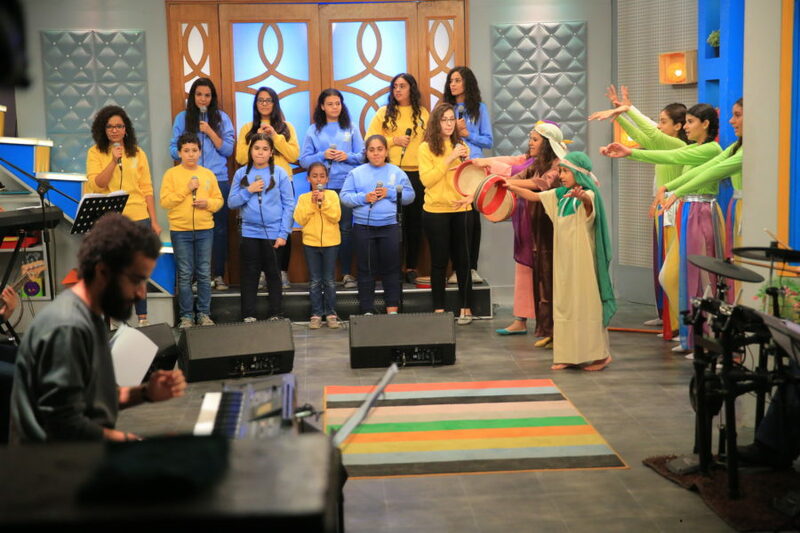 Pray for SAT-7’s educational programming, branded under SAT-7 ACADEMY, which is shown on SAT-7’s Arabic channels. Pray the programmes will have even greater impact on adults and children alike. Viewers have got in touch with SAT-7 KIDS from across the entire Arabic-speaking world – from Morocco to Yemen, and even Ethiopia! Pray that all those involved in the channel will make the most of this unique opportunity to broadcast God’s voice of love across the whole region.